Quartz is the newest addition to the Titan Mobile family, complete with on-board processing and a bright, vibrant 12.1” screen, in our smallest full-featured console. Super compact, measuring only 42.5cm wide, the Quartz is the ideal companion for all your lighting projects, from touring and festivals to clubs and one-offs. Offering full compatibility with Multi user, the Quartz is also perfect for use as a back-up or extra programming surface, cutting your programming time. Quartz is ready to benefit from multi band Sound to Light Triggering functionality, offered in Titan version 9. 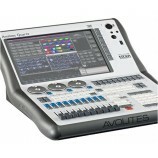 The Avolites Tiger Touch II represents the perfect combination of maximum powerand small size. 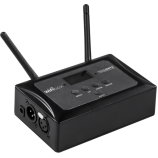 Small and light enough to fly in standard hold luggage, even in a suitcase ifnecessary, but with enough power for large complex shows. With 20 submasters separately paged as two banks of 10 and a further 10 macro or executerbuttons, you have at your fingertips instant hands on control, harnessing the power of theTitan operating system. Outputting up to 16 individual DMX universes, (4 directly from theconsole and all 16 available using ARTnet receivers), and with expandability to 64 DMXuniverses using TitanNet, you will not be short of control channels. Titan software is a superbly flexible console operating system designed and developed byAvolites. Titan gives you the ability to get a show on with the minimum of pre programming.Once fixtures are patched you can start running or programming a show knowing that at yourfingertips are: powerful Cue List facilities with the widest number of options for move in thedark to assist with programming; full individual fixture attribute timing; Pixel Mapping; Shapegeneration; powerful Grouping and Sub Grouping; a uniquely powerful Fixture Exchange withthe addition if needed of a Combined Show Import; and hundreds of other useful and effectivetools to facilitate fast and reliable programming combined with instant hands on operation.And on top of that a comprehensive fixture library fully supported and updated by and atAvolites, with support you can rely on. And obviously any Titan show can load into any Titanconsole, so if you have a mix of Titan console they are all compatible. The Tiger Touch II is based around a large touch screen with high quality switches, encodersand faders, and the ability to utilise a second outboard screen or touch screen. 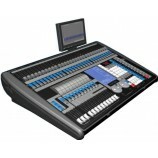 Like all Avolites’consoles only the high quality components and materials are used throughout, including astainless steel front panel with a laminated reverse printed polycarbonate surface, and built inuninterruptible power supply (UPS) to prevent data loss in the event of brown outs or powerfailures. 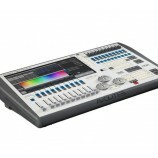 The Pearl Tiger is a powerful, streamlined 10 roller playback version of Avo’s famous and most popular ’live’ lighting console The Avolites Pearl. 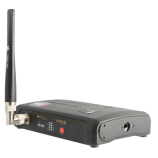 It offers everything the LD, programmer or operator needs for quick and easy programming of small to medium sized shows.with all the power, ease of use and versatility of a full sized Pearl. 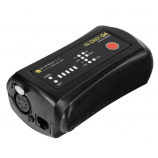 The Pearl Tiger is perfectly suited for schools, Colleges, conferences, small theatres, small/medium productions or production companies, tours, venues and nightclubs. Fast and Intuitive control of intelligent lighting, Dimmers and LED effects from one on screen console. 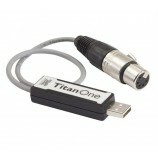 Titan One DMX USB Dongle allows the user to output one line of DMX with the full functionality of Avolites Titan Software. Access powerful features such as Pixelmapper, Quicksketch, Media Clip Select, Attribute Control-Blades and Shape Generator. Titan One allows you unlimited usage which gives you uninterrupted programming and playback time. Each desk can ‘grab’ and store scenes consisting of all the output channels. These are replayed using the faders in ‘sub-master’ mode, so 6, 12 and 18 models have 6, 12 and 18 submaster memory locations. 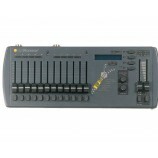 Chases and sequences of scenes can also be easily programmed using the cool blue backlit LCD display and menu options. 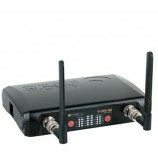 There are Preset/Chase Master, Grab Master, Desk Black-out and channel flash controls. Variable fades from 0 to 25 seconds can be used across all functions. 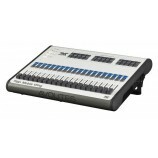 DMX output is via standard 5 pin XLR - all models simultaneously output 0-10v dc analogue through standard 8 pin DIN connectors. The desk may also be used to replay a ‘stack’ of scenes in true theatre style with either automatic or manual fade. This range of small desks is packed with a larger number of features than their price may suggest. 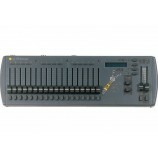 The Zip 18 has 18 faders and outputs 36 channels of DMX. 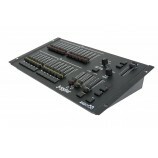 Level 6 DMX is designed to be a simple and intuitive small lighting desk, making it ideal for DMX control applications as diverse as schools, meeting rooms and museums. 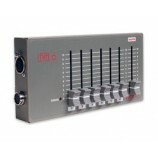 Featuring six channel faders and an overall master – the Level 6 DMX is convenient for hand held operation or alternatively fixed to a wall. Direct fader control also makes it useful for simple control of 2 RGB colour mixing groups or even used for testing and proving DMX control. 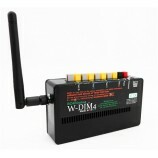 A localised power supply is included in the package. Juggler is a manual lighting control desk specifically designed for the smaller stage; a perfect solution for small scale lighting systems. Channel faders are set in a conventional two preset layout for easy crossfading. A fade time control allows smooth fades to be achieved over periods as long as 5 minutes. All crossfades are true dipless. This ability to hold constant lighting levels and varying fade times allows sophisticated lighting plots to be replayed simply and accurately.